A method and apparatus for enhancing and shaping acoustical levitation forces in a single-axis acoustic resonance system wherein specially shaped drivers and reflectors are utilized to enhance the levitation force and better contain fluid substances by means of field shaping. 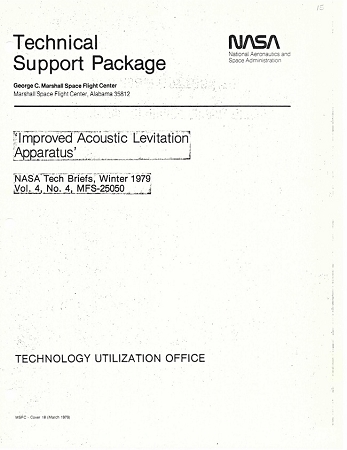 NASA Tech Brief. 8.5" X 11"